Numancia went down at Son Moix against Mallorca. A solitary goal from Aridai in the seventh minute of the game put paid to the Rojillos’ hopes of bringing home a positive result from the island. Once again, an early goal forced the Sorianos to try to fight from behind throughout the whole encounter. For the umpteenth time this season, Numancia had to attempt a comeback against a team that found an early advantage and opted to defend it for the rest of the ninety minutes. Barely seven minutes had gone by when a move by Lago down the left wing ended with a cross from the former Numantino that threaded its way through Juan Carlos’s goal box for Aridai to slot home at the far post. It was a blow for Lopez Garai’s side, who dominated the opening minutes of the game, but were unsuccessful in front of goal. 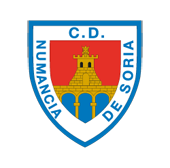 In the first 17 minutes, Numancia reached the hosts’ area as many as seven times. The Sorianos had the ball, Fran Villalba sprayed it around well in midfield and the visitors threatened, a lot. "We got into the area many times, but were we were scarcely able to finish," Lopez Garai said in the post-match press conference. The truth is, Numancia did enough to have levelled the scores before the break. The clearest chance fell to Marc Mateu, who found himself free on the left side of the area after a good move down the right wing, but his shot on goal was blocked by the home ‘keeper to avoid the equaliser. In the second half, the game became somewhat strange. Numancia were unable to continue playing fluidly, either because of interruptions, fouls, or because of the injury the referee suffered, which held up the game for four minutes. The changes also did not help, and Numancia, though bossing the game and having all the possession, somehow could not threaten Perera’s goal enough to force the equaliser. With Numancia on top and in search of the goal that would level the scores, came the controversial moment. Yeboah burst into the Mallorca box, and Pablo Valcarce brought him down. Everyone thought it was a clear penalty on the Ghanaian, but the one who had to see it did not, and waved play on. The visitors continued to dominate with Jordi Sanchez, Higinio and Nacho having late chances to get the goal that, at least, would have earned the Numantinos a point from the Sunday morning clash at Son Moix. RCD Mallorca: Perera, Sastre, Xisco Campos, Pedraza, Aridai (Buenacasa, m. 43), A. De Groor (Abdón, m. 81), Lago Junior, Dani Rodríguez, Gámez, Stoichkov (Pablo Valcarce, m. 60), A. Raillo.